Like Vietnamese food? Then cha lua might be the best friend you never knew you had. The specialty sausage is made from lean pork and potato starch, and it’s flavored with garlic, salt and black pepper. Sometimes even a pinch of sugar is added, and it always contains fish sauce. It commonly comes wrapped in the banana leaf it was cooked in, although, for the first wave of the Vietnamese diaspora, for whom the leaves were in short supply, tin foil often had to suffice. Key to good cha lua is the pounded raw pork. If it’s chopped or ground, the meat is too fibrous and dry—pounding gives it its perfectly smooth texture. Wrapping is important too. The swaddling, whether a banana leaf or a substitute is used, has to be watertight, or the cooked sausage won’t last long once it’s opened. That is, of course, if it’s cooked. That’s because the sausage is often served in its raw form, known as gio song. Even if you’re not officially acquainted, you may have eaten the versatile cha lua in any number of Vietnamese dishes—amid the multi-textured chaos of a banh mi, or thickly sliced and sprinkled with shallots, and served alongside glutinous rolls of banh cuon. The irrepressible sausage has even crossed borders. In Thai cuisine, dishes like som tam—their green papaya salad—often come accompanied by thick slices of their version of it, called mu yo. Here, to complete the introduction are five of our favorite dishes in which you might find the sophisticatedly simple Vietnamese sausage, cha lua. Thanks to our friends at Long Phung Food Products for the content. 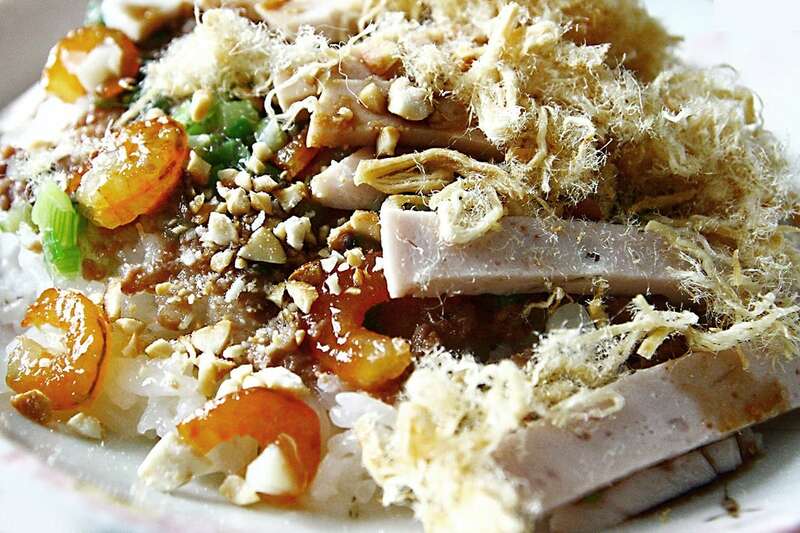 Bun moc is the kind of austere, no-nonsense noodle dish beloved by residents of the country’s capital, Hanoi. 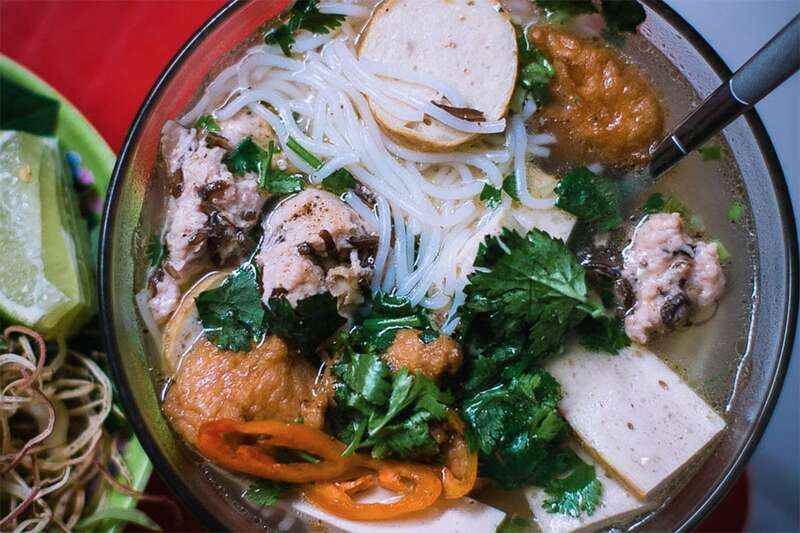 As is obvious from its name, a handful of rice noodles—bun—are bathed in a hearty mushroom-flavored pork broth. There’s a layering of cilantro, pork ribs or tenderloin, and meatballs—which may be why the dish is called “moc”—and of course, cha lua. Usually, on top of the earthy dish will be a garnish of crispy shallots and spring onions, and maybe a shake of black pepper. Try a bowl at the New World Hotel-end of Truong Dinh, from Bun Moc Thanh Mai (14 Truong Dinh). No list of food containing cha lua would be complete without the street-food staple, banh mi. The showpiece Vietnamese sandwich, along with pho, is the food people most strongly associate with this dynamic Southeast Asian country. It’s the type of food that tastes as great served up by a street food vendor as it does by the stalls’ gentrified siblings. If you want to try southern-style banh mi at the source, we suggest Banh Mi Huynh Hoa. Every day, their shop at 26 Le Thi Rieng, District 1, draws a queue that snakes down the block. For something in more refined surroundings, try Banh Mi 362, a family booth established in the 1980s. The business has passed through three generations of sandwich-makers’ hands. 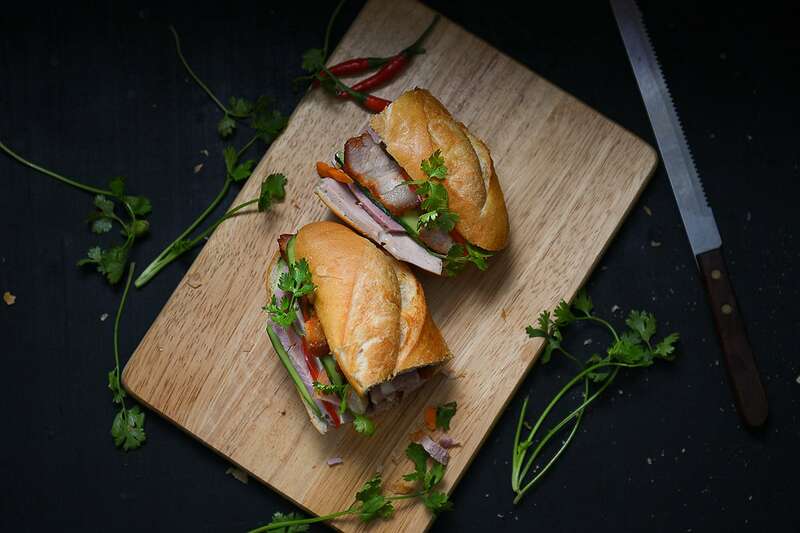 Today, they serve their venerable baguettes with twelve different fillings (including cha lua) in their reliably air-conditioned stores (at 33 Thao Dien, District 3, 55 Nguyen Duc Canh, District 7, and at other locations around the city). As with banh mi, you’ll find the bite-sized sticky rice breakfast dish of xoi man served in a variety of ways. The similarity with banh mi doesn’t end there. 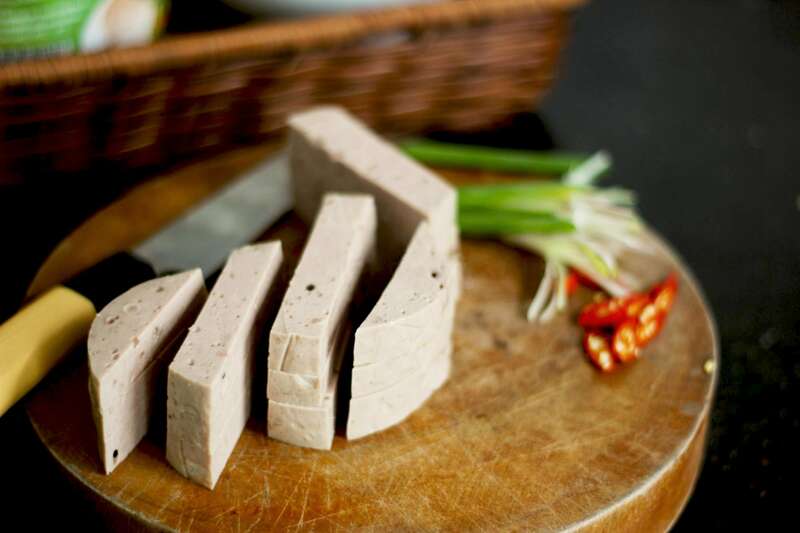 On a scoop of sticky rice, usually still being steamed to stop it from drying out and hardening, are spread typical banh mi ingredients like liver pate. The warm sticky rice seduces the saltiness from the pate and then, depending on the vendor, oily green onions, crispy shallots and a mixture of cured meats and sausage, and sliced cha lua are added. They are often topped off with pork floss and a squirt of chilli sauce—and a quick survey also usually reveals a quail egg or two buried amid the harmoniously flavorsome mixture. To pick one up, keep a lookout along the streets on your way to work. There are a few stores worth seeking out too, like the aptly named Xoi Ga Number One at 15 Nguyen Trung Truc, District 1, or the famous Xoi Bui Thi Xuan that’s been operating since 1997, also in District 1. 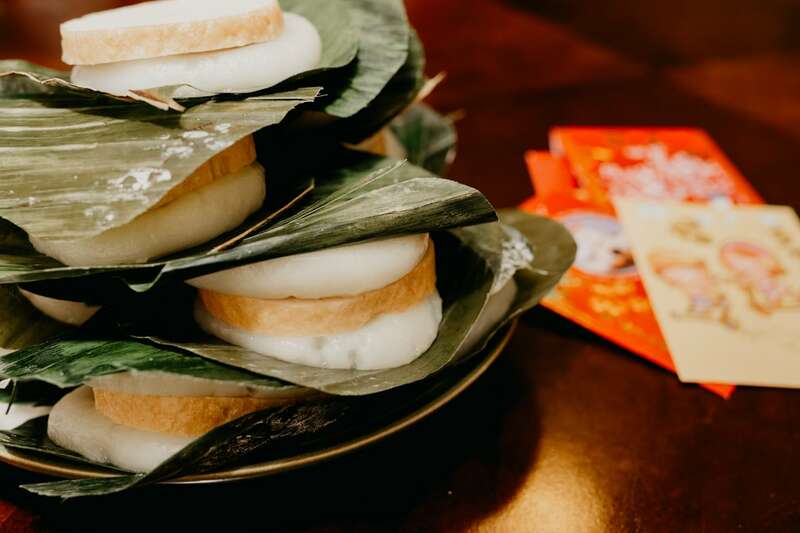 Banh giay—which you might also hear called banh day—is a traditional flat, round Vietnamese rice cake that comes wrapped in a banana leaf. The staff at stalls like Gio Cha Minh Chau (76 Ly Tu Trong) often double up the cake sandwiching the salty cha lua in the middle. Variations include servings of the rice cake fried until golden, or stuffed with mung bean—that’s a lot like Japanese mochi. You can also opt for a slice of cha lua’s cinnamon-infused sister, cha que, between your devilishly sticky rice cakes. Few foods emphasize the uniqueness of Vietnamese cuisine as well as banh cuon. 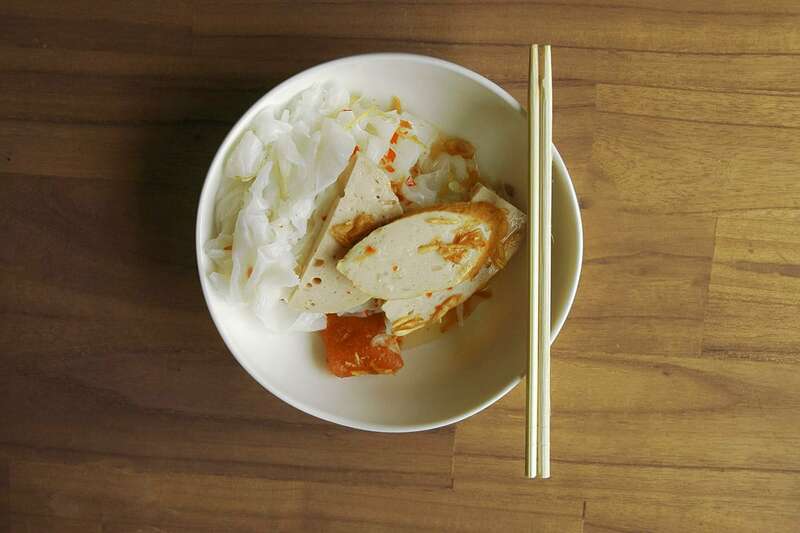 This delicate northern Vietnamese dish is built around the thin fermented rice sheets from which it gets its name. The rice batter sheets are laid over a cloth to be steamed. When eaten they break to reveal a mixture of ground and seasoned pork, and wood ear mushrooms and shallots. They usually come served with silky cha lua on the side, and greens of course, some crunchy sliced cucumber and bean sprouts, and a dipping sauce like nuoc cham—a sweet fish sauce accented with lime. It’s reminiscent of the Thai rice noodle roll, khao phan—a specialty of the far northern province of Uttaradit—and the cheung fan rice rolls served in Chinese dim sum restaurants…but it’s not quite the same. For the delicate Hanoian version that flaunts its northern credentials try Banh Cuon Tay Ho, named after the largest lake in the country’s capital (127 Dinh Tien Hoang, District 1).